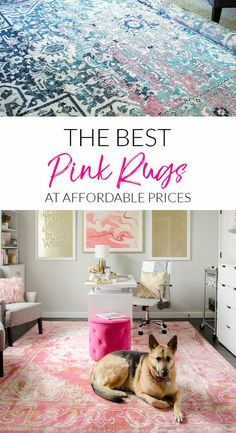 A step-by-step tutorial depicting how to make a mood board for planning a room makeover in your house to create a simple and seamless design process. I’m just checking all kinds of little questions off of the list over here this week. A few days ago it was something as simple as how to make your bed to look plush and designer-y. And that sparked me wondering what other little decorating details I should talk about to help y’all in your own homes. …this seemed like the perfect time to share my process. 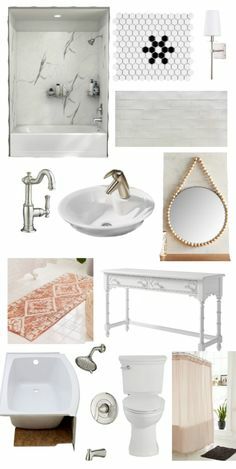 If you don’t already put together all of your makeover ideas onto a Pinterest board or save images in a folder on your computer desktop or create a mood board before starting on a room refresh, I HIGHLY suggest you start doing it. Ever since starting the mood boarding process a couple of years ago, I can’t even begin to tell you how much clarity and confidence it has given me and Robert when jumping into a room makeover. It helps us get on the same page, see the direction together, and know how all of the elements will look together so that we’re hit with fewer surprises than if we were just wingin’ it. 1. Go to PicMonkey and hover your mouse over the “design” icon at the top of the screen. 2. Click the “blank canvas” option that pops up. 3. 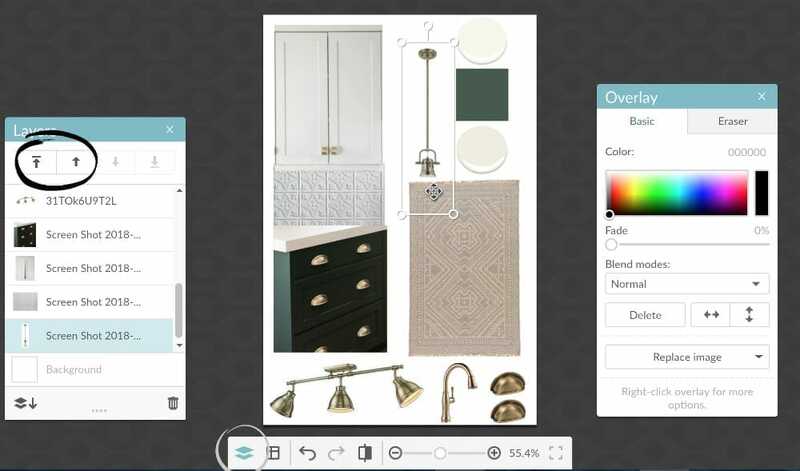 Click “print” in the drop-down menu under “blank canvas” and click the size of the image you want to use for your mood board. 4. After you click the image size you want, this screen will show up. 5. On the left side of the screen, click the butterfly icon for overlays. And click the “add your own” button. 6. Click “my computer” from the drop-down menu. 7. Prior to creating my mood boards, I save screen shots or jpeg images of items I plan to use in my room makeovers and put them in a folder. So I open the folder and click the images I want to use in the mood board. 8. After clicking the first image you want to use and “open”, it will show up on your blank page. 9. Click and hold the corner of the image on the small circle and a double arrow will pop up to let you shrink or enlarge the overlay image. 10. Repeat the process by adding more overlay images, clicking the middle of the overlay so that you can drag it to where you want to place it on the page. 11. For any images that have a large background that you want to get rid of, click the overlay image and a pop-up will show up on the screen. Click the “eraser” tab in that pop-up and adjust the size of the eraser you need. A circle will show up on the screen that you can click on the background of your overlay image to remove any part of it that you don’t want to show on the mood board. 12. Then just click and drag the overlay image where you want it like you did the other images. 13. To arrange the order of your overlay images so some of them lay on top of others, click the icon that looks like stacked squares on the toolbar at the bottom of the screen, and a “layers” pop-up will appear. Select the overlay image you want to manipulate, and choose an “up” arrow to stack the image on top of others or a “down” arrow to push an image underneath other overlays. 14. Once you’re happy with everything on your mood board, click “export” at the top of the screen. 15. Title it, size it to the dimensions and quality you want, and save. 4. Antique brass track lighting – to replace our existing 80s-90s track light above our peninsula. For some reason, it’s slim pickin’s when it comes to track lighting, and this was one of the very few antique brass ones I could find. Thankfully, it works with the rest of the space. 9. 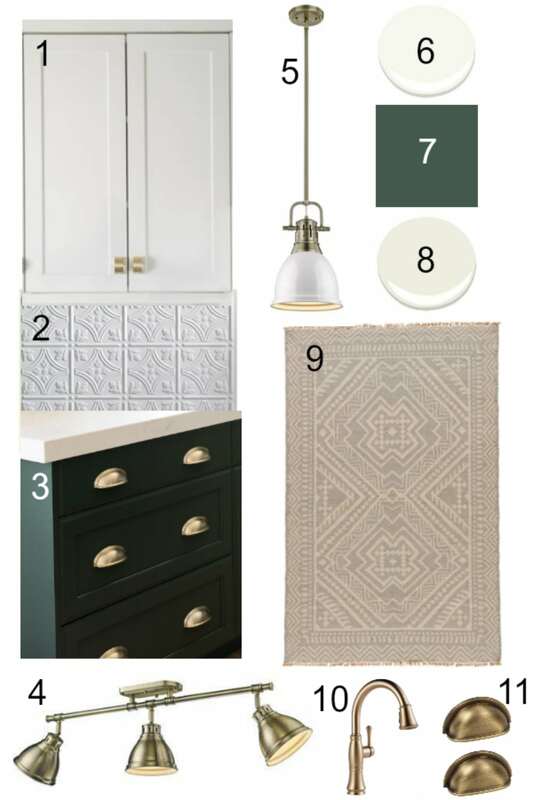 Neutral wool flat weave rug – to make the existing beige floor work for now while still adding in a subtle pattern. Wool repels stains and spills better than other fabrics like polyester and cotton. 11. Antique brass knobs and pulls – We will spray paint our existing hardware for an easy, quick update. So that’s where we are! Can you envision it yet? We currently just put the lower cabinet doors back on after painting over the weekend and are cranking out painting the rest of the upper cabinets and spray painting hardware to have finished in the next day or so (if the rain will go away long enough to let us finish). 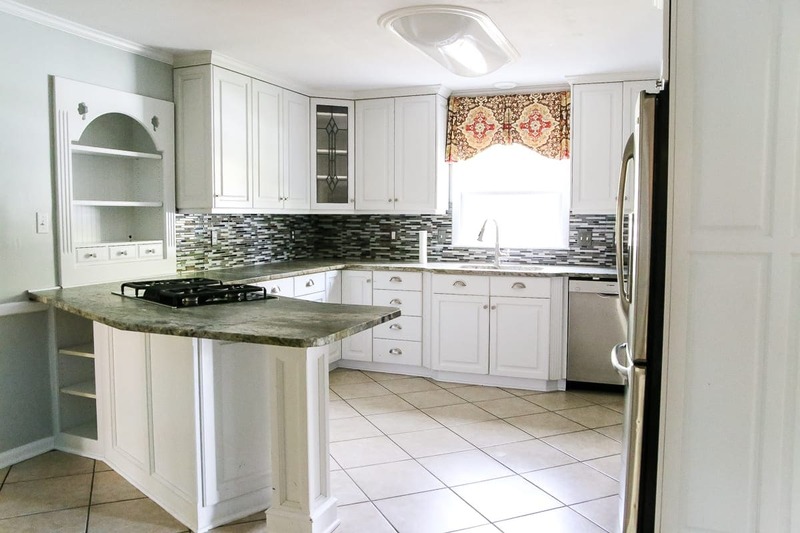 It’s going to be the perfect punch this kitchen needs and I’m DYING to see it come together! Are there any other little decorating details you’ve ever wondered about? I hope to share more about these things more often since it’s something I never think about. Ask away in the comments! WOW! That’s great! Thank you so much for sharing. Thanks for sharing!! I do pay for PicMonkey and love it but lately I keep gravitating towards Canva.com – which IS free with some pay options (but I’ve never paid). Yes! I’ve used Canva only a couple of times and really liked it. I need to get more acquainted with it. I haven’t made a mood board with it before though. Picmonkey used to be free (minus a few paid features) too, but they just switch to free trial only recently. 🙁 I hope Canva doesn’t do the same eventually. Lauren, you have no idea how happy this post makes me! I have made such a mess of a couple of rooms in our new house because I hadn’t thought the project all the way through. 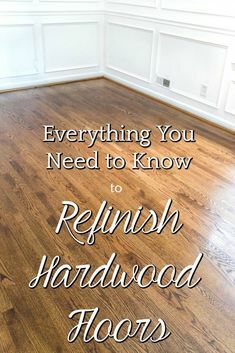 This will be so helpful and will keep my husband from wanting to kill me when I make us redo a room yet again! Thank you so much for sharing such helpful, tactile content along with the inspirational content! I’m so glad to hear that, Meggan! It definitely helps my husband and I visualize together whenever we have a room to tackle. This was a great post. I’ve been wondering how to do the mood board thing and now I know. Your timing was perfect! Thanks so much. I have been using Canva to design my entire tiny house on wheels and it has helped so much to actually be able to see what will work and what doesn’t. Can’t afford to make any major mistakes or hate the design when you are building from scratch! Thank you so much. I had heard about PicMonkey but had not had time to play around and learn how to use it. I too normally just jump into a project with only a vision in my head and sometimes it doesn’t turn out the way I envisioned. This way I can see it on paper and the dear fiancé can also see so he can vote on what he likes as well. Thanks for sharing, so helpful! I can’t wait to see all the beautiful elements come together! Congratulations on your new home! You’re welcome. I hope it helps. I have been saving pictures in folders on my computer for a long time but I couldn’t figure out how to organize my finalists in a cohesive manner. This is perfect and I am so excited to start mood boarding!!!!! Love this idea! Many of us from the former Polyvore community have moved over to Urstyle. They have been exceptionally welcoming and accommodating. It’s free too. Good to know! I’ll have to check it out. Thanks for the tip, Angie! Oh my, what an excellent idea. Thank you so much. Hi, thanks for this. I am new to all this design and decor ideas stuff, and have so much to learn. Can you tell me what the advantage of using this software rather than putting all the images into a word file? I probably missed something, but it just seems to be doing the same thing, corralling all the visual ideas in one place. Does the software do more than that?